Finding and keeping ideal talent for a pharmaceutical company can be a daunting task. However, it doesn’t have to be insurmountable — with a solid recruitment strategy, you can build a team with the best talent possible. We put together a guide to seven solid recruitment strategies to help you identify high-performing candidates with the least amount of hassle. It’s one thing to find a qualified candidate. It’s another to find one that fits with your team. But it’s hard to make that determination on paper. Sometimes the only way to tell is to “try before you buy”. So, employing the services of a staffing agency that offers temp-to-perm services is a way to lower your risk. Hiring an individual as a temp allows the company and the individual to assess whether they have a long term future together. It has the added benefit of making hiring decisions faster. A Temp-to-Perm strategy is also useful when longer-term plans are not as clear, because you are not locking yourself into a large fixed cost up front. Yet, when you do need to staff up, your short term decisions won’t be a wasted effort. Self-evaluation – Take a look at your current employee status (and be honest!) to identify what is and, as important, what isn’t currently working. If assembling your ideal team has been problematic, it can be tempting to blame the candidates, but it can often be traced back to a poor organizational strategy. Search the Pool – You may have heard the term, “Fish where the fish are” – this applies to talent as well. Identify and evaluate online locations where job seekers in the pharmaceutical world like to find work. Look for patterns – What do candidates want out of a company and their career? What will make you more attractive to the high-performers? Channels – Are you using the most effective ways to reach the highest performers? What websites, networks, offline channels, etc. can you utilize to attract an audience of potential employees? Culture and Brand – What does your brand say to others, potential employees in particular? What can you do to make your business look like the best place to work? The clearer your answers, based on your research from each of these categories, the stronger the backbone of your hiring strategy. Recruitment strategies are plans – and many companies don’t plan very well. A detailed plan will will help you stay on track from research to hiring to onboarding and training. Identify the channels you’ll be using to reach your target audience. Social media marketing may be one such channel, which will need its own sub-plan. The message: Map the content you’ll be creating to get your target audience’s attention. The process: What is the procedures that need to be in place for initial and ongoing efforts: making the offer, onboarding, training, evaluating, etc.? Perform a sanity check. Are your expectations in line with the supply of the market? If not, what needs to change? This sanity check allows you to quickly figure out if your hiring manager is looking for a unicorn or has champagne taste on a beer budget. Making a detailed plan presents a more consistent, attractive face to the potential candidates. It also allows you to make more efficient decisions about what’s working and how to continually improve. It can be tough to connect hiring processes to the bottom line, but it’s a good strategy to be clear about the numbers. Speed of hire is not the only metric. The clearer you are about all aspects of the process, and its effect on the company, the better decisions you’ll be in a position to make. Timeframe for filling each role. Open vacancies versus positions filled. Don’t get lazy, even if it’s easier to estimate, because a guess won’t give you the same foundation for decision making and ROI as real data. So make sure not to skip this one. 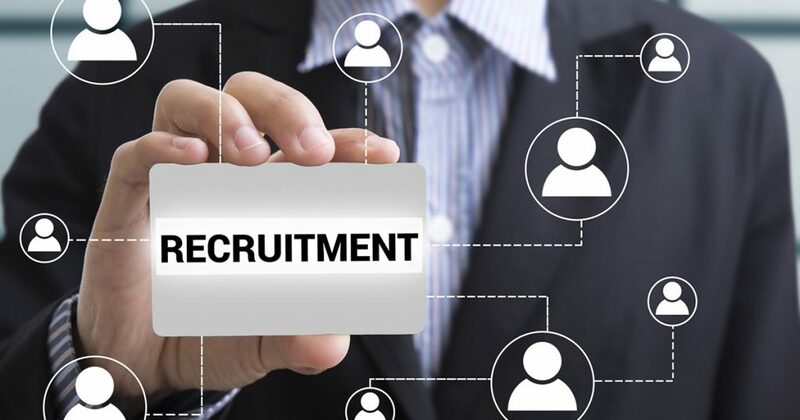 Social recruiting is gaining traction in the industry because many job boards and old school ads are starting to lose their effectiveness. Engaging with an audience and presenting opportunities in social media is a bit like chatting with a friend and asking them for a referral. You cannot just place an ad like you can on a job board and promote, promote, promote. Building relationships with your audience might seem like a lot of work, but the benefit is you can start to sell the candidates on your culture more powerfully than ever before. So when you do find the right prospects, they are pre-sold on you. Many companies have been finding success with Facebook advertising and Twitter ads for recruiting. Refer back to your research (Strategy #2) and if your prospects are using a particular social channel, this might be a strategy to try. Would you be excited about working with a pharmaceutical company with nothing to offer in the way of company culture? Times are changing, and company culture has become a very important aspect of job searches. This is true of Boomers, Gen-X, Y, and Z. If you want to build a solid staff you’ll have to pitch your brand as better than the rest. A positive, likable work culture always equals happier employees, a much more productive workforce, and a longer-lasting employee. If this isn’t already an intentional part of your pharmaceutical company’s hiring strategy, make it one, then show it off in your job advertising content. You’ll probably get a much larger pool of people applying to work for you, and from there you’ll be able to pick out the best of the best. A pharmaceutical staffing agency, particularly one that has years of experience in the trenches of your industry, can be a huge boost to your recruiting strategies. They know the market. They know the going rates. They understand candidates’ aspirations. They already have identified an set up the most effect channels. They are a lot more than a database of resumes. There you go. Seven solid pharma recruitment strategies that will help you achieve success in your search. Tell us about your thoughts. Which recruiting strategies have worked best for you? And where do you need help? We’d love to hear from you.